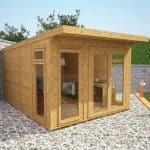 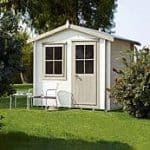 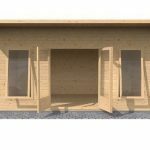 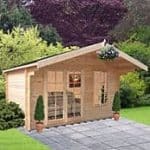 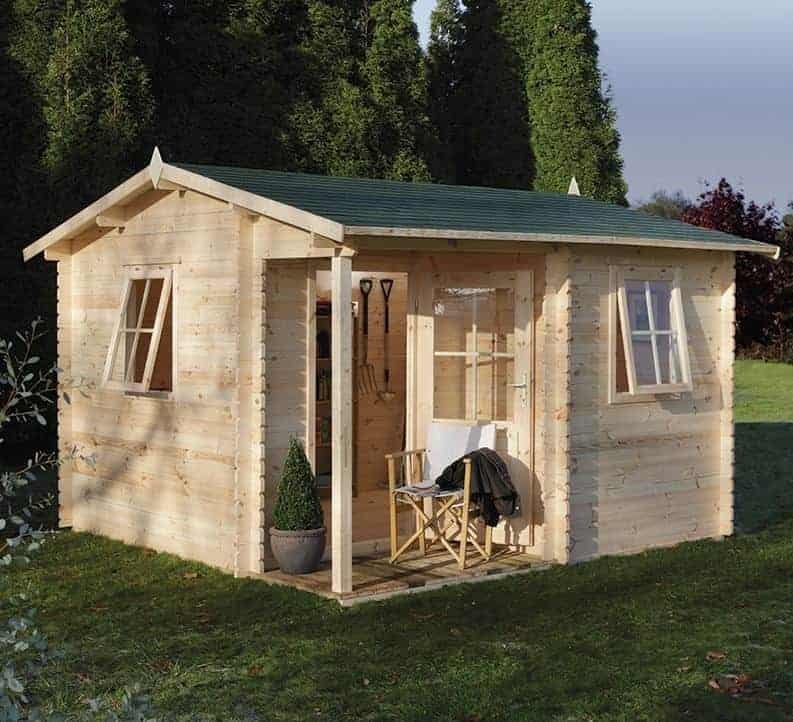 This 11 x 11 log cabin is gorgeous to look at, and it has a high level of quality underneath it that should make for a durable and very attractive building. 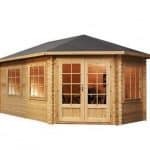 There is Nordic timber used throughout for example, and this particular kind of timber ensures longevity as well as a suppleness that brings longer life for the construction. 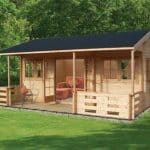 There is an integral verandah for extra value, and felt on the roof to protect the interior from the effects of rainwater.